BREAKING: Mersal And Sarkar Actor In THALAPATHY 63! Thalapathy Vijay who recently tasted a massive success through Sarkar is getting ready for his next film which will be directed by Atlee. Thalapathy 63 is produced by AGS Entertainment. The shoot is expected to begin in January 2019, the movie will be a next year Diwali release. The technical crew was revealed officially last week by the production house. We already broke a sensational news last week that actor Vivek is a part of the cast in this movie. Now, the sources close to our team have informed us that comedy star Yogi Babu will be featuring in Thalapathy 63. 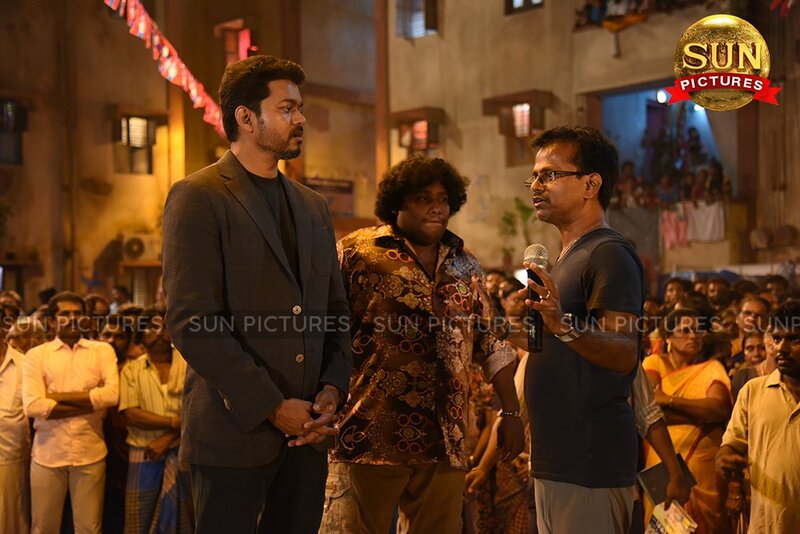 It is to be noted that Thalapathy Vijay and Yogi Babu shared screen space earlier in Mersal and Sarkar. It is indeed a superb artist addition for the film.